Transfer Flow has redesigned their 50, 75, and 100 gallon in-bed diesel fuel tanks. The cover box atop that contains the sending unit, wiring connections, and the rollover valve now fits under a flush plate, offering a flat surface on which to place stuff when needed. The 50-gallon unit fits under most tonneau covers. There are no switches to operate; fuel transfers automatically, controlled by Transfer Flow’s proprietary TRAX 3 computer-controlled fuel management system. The TRAX 3 module is programmed for the Transfer Flow tank and specific vehicle to which it’s mated and transfers fuel at predetermined levels. Fuel levels in both tanks, as well as the operational status of the system, are displayed on the dash-mounted LCD. In addition to tank-capacity percentages, if preferred the TRAX 3 can now be programmed to display the fuel level in gallons. In addition to a traditional, smooth, powder-coat finish, diesel tanks can be optioned with a spray-on (bedliner type) textured coating. Transfer Flow does this in-house at their facility in Chico, California. Like all Transfer Flow tanks, these are made from 14-gauge aluminized steel, baffled, and are DOT legal. $1,600 to $1,900 base price. 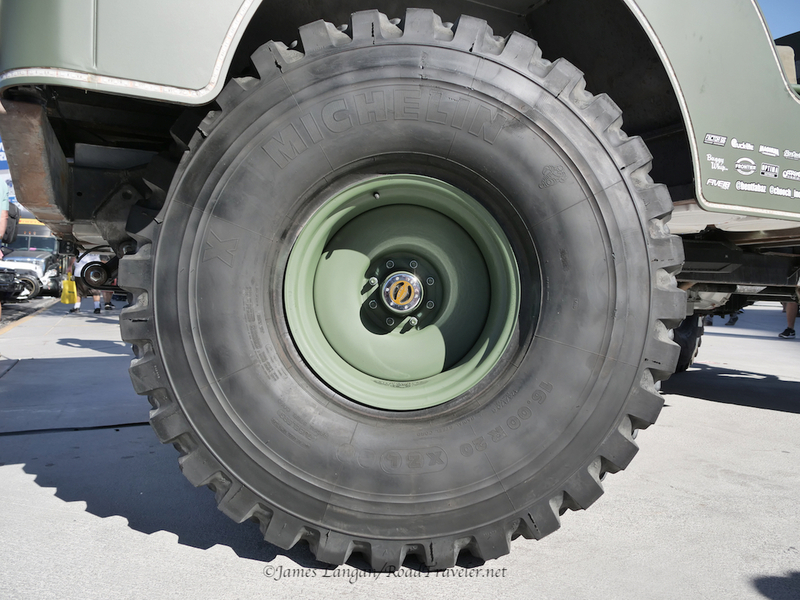 The Big Willy, a super-sized jeep with rear steering. 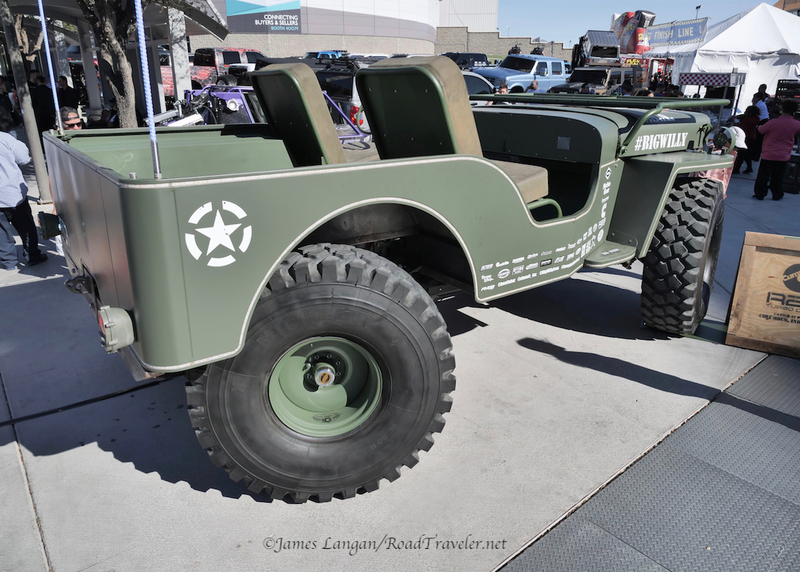 The Big Willy is twice the size of an original WWII Willys. This is not just a lifted 4WD, but also a wild, drivable, super-sized creation that includes a ladder on the rear to facilitate entry. 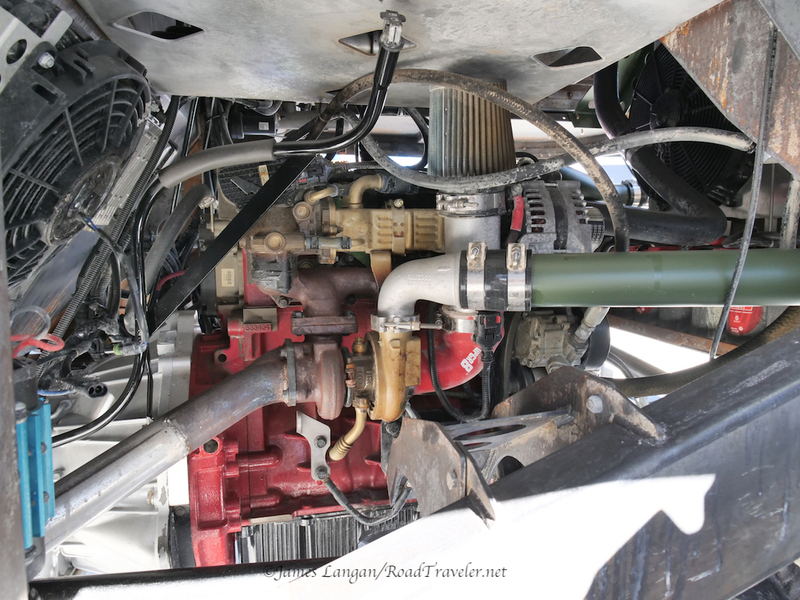 Details include rear-steering, Dana 60 axles, 52” tires, and a Cummins R2.8 engine. Owner, fabricator, and builder Ian Liljeblad displayed Big Willy’s largeness at the Burning Man festival immediately after completion, where is was shown sans clothes (of course) in bare metal. 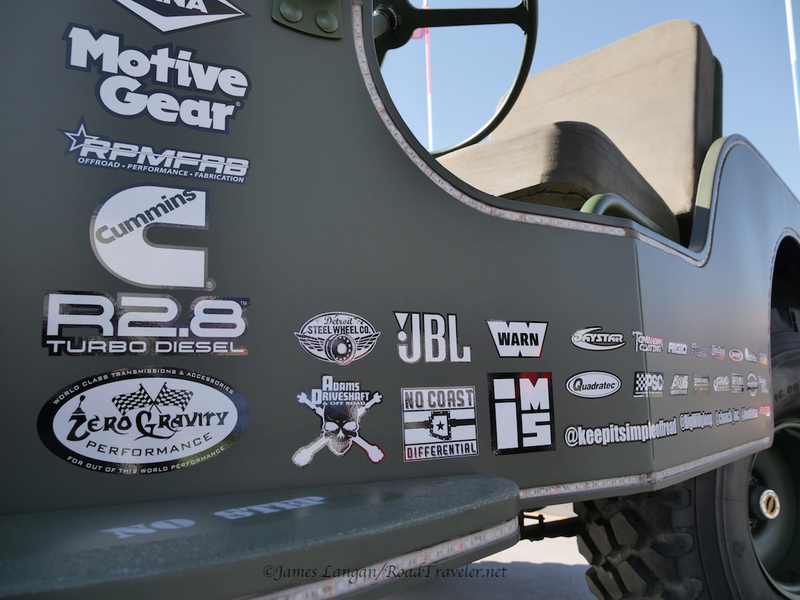 For SEMA it received an appropriate, olive drab wrapper. MASSIVE. Cummins R2.8 Turbo Diesel Big Willy engine. Thankfully Mr. Ian Liljeblad does not believe that ridiculously huge wheels are ‘required’ to be cool.